How one company added a for-profit weatherization business to its nonprofit organization — and how they now work successfully together. A version of this article appears in the November/December 2011 issue of Home Energy Magazine. The American Recovery and Reinvestment Act (ARRA) low-income weatherization funds are now winding down. In some states, like Idaho, that have spent all of their funds, agencies are looking for ways to keep their new, and seasoned, weatherization staff and contractors employed. As Congress continues to argue over national budget funding levels (and at present they don't look very favorable for our weatherization network), many agency executive directors and weatherization managers are looking for ways to continue funding weatherization for low-income households across the United States. For the most part, our industry has very little control over Congress as to how much federal money DOE's Weatherization Assistance Program (WAP) will receive. However, at one time or another, we have all faced the decision to move forward or to pass on a new project. Usually moving forward when oppor-tunity knocks means stepping out of our comfort zone to start a new adventure. And that's exactly what happened in 2005, when the South Central Community Action Partnership (SCCAP) decided to create a for-profit limited-liability corporation, Home Energy Management, LLC (HEM), to help support our nonprofit low-income weatherization program. 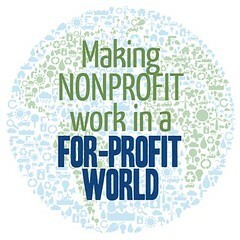 Since 2005, SCCAP has adopted social enterprise as a model of management, which has allowed our nonprofit organization to generate nonfederal resources to support SCCAP's mission. That mission is to retain trained weatherization staff, especially with the loss of ARRA weatherization funding, and to continue providing energy conservation services to homes and businesses. HEM is based in Twin Falls, Idaho, which has a population of less than 50,000. In the surrounding communities of the eight counties where we provide low-income services, population ranges from 300 to 20,000 residents. Our opportunity knocked in the spring of 2005, when we were approached by Susan White of ACKCO, Incorporated, to participate in a special project she was managing funded by the U.S. Department of Health and Human Services Administration for Native Americans. Based in Phoenix, Arizona, ACKCO, Incorporated, is a professional services company that is American Indian — owned and operated. Since 1972, the company has successfully managed more than 300 federal and state agency projects, teaching sound business practices, flexible management systems, and controlled fiscal accounting systems. Susan White is nationally recognized as DOE's primary financial trainer on fiscal management and procurement for WAP projects. These projects follow federal regulations for states and agencies that receive weatherization funding through DOE. The special project we were presented with — called the Indian Social Entrepreneur's Guides — was designed to develop the four phases of business planning. The guides are entitled Developing a Marketing Plan, Performing a Preliminary Feasibility Study, Preparing a Business Plan, and Securing Financing. SCCAP participated in the development of the third guide, Preparing a Business Plan. When Susan contacted me, she was aware that SCCAP had contemplated creating a for-profit company through our nonprofit organization for several years. Several factors had kept us from moving forward with our for-profit business. These factors included several unknown risks, extra workload, and not knowing what it would take to start a fee-for-service company after operating a nonprofit, federally funded weatherization program since 1979. But when the opportunity came knocking, I didn't hesitate to agree. Susan White is known as one of the best financial management advisers in the nation. And I would be following through on a dream I'd had for many years — the dream of creating a for-profit energy conservation company. Once that was decided, I knew that SCCAP (and I) would have to take certain legal steps, set certain policies, and meet certain financial requirements before undertaking this project. The first item of business was to present the idea to the SCCAP board of directors. Without their approval and support, this project would be dead before it began. Before presenting, I would need to do some preliminary research. That included completing an agency assessment, getting buy-in from key weatherization and administration staff, and consulting the state office administrating our WAP contracts about our intentions. Since we are a 90% crew-based organization, our key players were our management team (WZ director Randy Wright and his crew supervisors Ed Campos and Rod Burk), along with the crew themselves, who would ultimately be responsible for completing the fee-for-service work. We also needed support from our chief financial officer, Michelle Picklesimer, who would be overseeing the financial end of the operation. After strategizing with all the key players, and reviewing our strengths and weaknesses, the risks inherent in starting this business, and our nonfederal cash resources, we developed a business model that we could present to the board. We knew that energy conservation was becoming more important to homeowners and were confident that there was a market for the business we were proposing. The business model that we presented to our board of directors consisted of four parts. It explained what we would perform, who would perform it, how we would finance it, and what we expected to receive in profits. In the first part, we described the primary focus of our project. Our weatherization auditors would perform energy audits for middle- to upper-income homeowners. They would check insulation, windows, doors, and heating and cooling systems using blower doors, Duct Blasters, CO analyzers, and multimeters to determine where energy savings could be captured. At the end of the audit, we would provide homeowners with a written detailed analysis, including a list of ways that they could save energy — all for a fee of $300. The list might include adding insulation to the attic, floor, or walls, or sealing and insulating the ductwork. It might include air sealing, or replacing inefficient windows and doors. We would quote a price for work that our weatherization crews could complete. If we determined that the heating or cooling system was unsafe or was not operating efficiently, we would act as a general contractor and bring in HVAC contractors that we'd used in our low-income weatherization program — which would ensure that they were qualified, dependable, and reasonably priced. In the second part of our model, we described our staff structure and explained how we would operate the business. The structure included using our current weatherization supervisors, auditors, crew members, office staff, and financial officer, and myself. We would work on Fridays and Saturdays only, because we worked 10 hours a day for our nonprofit during the week. Our SCCAP weatherization program had a staff of 13 - 8 of whom signed up to work for our for-profit company. In the third part of our model, we described how we would pay the start-up costs. This included the cost of whatever new equipment we needed. We inventoried agency equipment that had been purchased with nonfederal funds, and decided what nonfederal cash resources we could designate to the for-profit company. Then we prepared a financial proposal that listed our assets and said what equipment and supplies we would need to purchase. In the last part of our model, we described what profits we expected to make. We knew that energy conservation was becoming more important to homeowners (thanks to the rising cost of energy, and the awareness created by Energy Star products). We were confident that there was a market for (and profitability in) the business that we were proposing. What will the legal structure of the business be? Will there be a clear separation between the federal program and the for-profit business? Who will do the bookkeeping, payroll, and invoicing? How will we generate business, and what percentage of the profits will we add on to projects? Will we burn out our crews with a longer work week? How much money will we offer our staff? Will we be using trucks and equipment that SCCAP does not own? How will we be perceived by the private-sector contractors doing the same work? Before doing anything else, we needed to answer all of these questions to the board's satisfaction. We began by setting up our legal structure as a limited-liability corporation (LLC), following the advice of our legal counsel. We stated that the LLC would protect the nonprofit should the for-profit default. We'd be sure to keep all records and transactions separate between the two companies, which would provide transparency. We would also be purchasing new financial software for the financial tracking of payroll, invoices, and payments to vendors. We created an operating agreement that defined how our office and warehouse space, along with office equipment owned by the nonprofit, would be allocated for cost reimbursement back to SCCAP. To address the problem of crew burnout and the question of salary, we explained that with eight staff wanting to work for the for-profit company, we could have crew members working alternate weeks, since it would be very unlikely that we would need to have all eight of them working at the same time. However, we left crew members the option of deciding how often they wanted to work, provided that our workload was covered. After creating some imaginary projects based on different services that we might perform, we were able to calculate how much we could afford to pay our employees, and work out some profit margins. We wanted to make sure that we could pay our for-profit employees $3 to $5 more per hour than we were paying our nonprofit employees. This was to compensate for the fact that our for-profit employees would receive no benefits, such as paid vacations, sick leave, or retirement. We would also require them to provide all of their own hand tools, as is standard practice in the construction trades. We would provide the major equipment, such as pneumatic tools, compressors, table saws, chop saws, ladders, and insulation equipment, as well as the diagnostic equipment. We would also require the crews to provide their own transportation to and from the jobsites, but they would be reimbursed for their mileage. All of this would be outlined in the employee handbook that each for-profit employee would receive. The board also wanted to know how business would be generated, and what profits we expected to receive. Our advertising plan was to have our name in the yellow pages under Home Inspections, Windows, Insulation, and Home Improvement. In addition, we planned to attend industry events to get the word out that a nonprofit had created a for-profit that would be doing energy efficiency and conservation work, with the profits going back to help the nonprofit (and, in turn, the low-income organizations). We also planned on meeting with Realtors and banking institutions to give them the same message. Finally, we would meet with big-name home builders and ask them to consider using us for their next building project. We were a viable option as our staff had over 30 years of experience in installing energy efficiency measures. When it came to determining the profits, we calculated our costs and decided to set our rates with a 20 - 30% markup on each job, to cover our overhead and allow for a modest profit. We believed that contractors in the community might be hostile to a for-profit company if it received federal funds. Therefore, we informed the board of directors that no federal funds would be used to operate the company, and that we would be competing on a fair and level playing field with the other contractors. Our company would definitely stand out, as there was currently no other company offering the type of energy service we were going to provide. We answered all of the questions posed by our board of directors to their satisfaction. The board approved our business model and signed a resolution supporting the creation of a new LLC company, to be called Home Energy Management (HEM). With that support, we were able to start our new adventure in the fee-for-service market. But there was still much to be done before we could begin to provide weatherization services. The first step was to develop our business plan. Because we had been selected to participate in ACKCO's project, ACKCO helped us to research and develop our business plan. The plan consisted of two parts. The first part was to complete a marketing plan, and the second part was to conduct a feasibility study. These two parts summarized the business concept and the description, direction, and forecasted financial statements of the company. It took us about four months to finish our business plan. After receiving approval from the board of directors and before we could go out and perform our first fee-for-service energy audit, there were a few legal steps that we had to complete. First, we had to apply for our employer identification number with the IRS. Second, we had to file articles of organization with the state of Idaho. Third, we had to apply for Idaho contractor's licenses. Finally, we had to purchase general liability and workers' compensation insurance. We also had to purchase accounting software and set up accounting procedures and new accounts with material suppliers. We developed an employee manual and job descriptions, and finally purchased our blower door and Duct Blaster equipment. After all the pieces were put together, we were open for business! When we began bidding on and completing projects for profit, we learned through trial and error that we needed to adjust how much we quoted for our services. Although business got off to a slow start (because we were advertising solely by word of mouth and with ads in the yellow pages), we were soon making money doing the same energy efficiency work for higher-income households that our nonprofit company does for low-income households. This enabled our staff to earn more money, and when ARRA funds ran dry in March of this year and we had to lay off three employees from SCCAP, we were able to retain them to work for HEM. This business venture also allowed us to expand our partnerships to bid on projects not typical of low-income weatherization programs. These partners included USDA/Rural Development, HUD, and Idaho Power. Without our LLC, we would not have been able to enter into private contracts with these partners. Our partnership with Idaho Power has been particularly valuable. Idaho Power's strong commitment to conserving energy through its DSM programs has allowed us to provide efficiency services to electrically heated homes of customers who do not qualify for our low-income weatherization program. HEM has provided services to more than 105 homes that were originally out of our reach (not able to meet requirements for our low-income program), and we expect to provide services for another 16 to 20 such homes before the end of November 2011. Creating and operating a fee-for-service company has been an exciting adventure, and once we established ourselves in the market, we soon found our profits growing. Although we got off to a slow start, in our five years of business we have never recorded a loss when filing our income taxes. In the past two years, we have grossed over $440,000 in revenue and have netted over $81,000 in profits. We have used those profits to help support our nonprofit; we lease our office space from SCCAP for $198 a month, or a total of over $11,869 over the past 5 years — which is all money that SCCAP would not have received if HEM wasn't in business. HEM has also contributed over $25,000 toward the purchase of additional property for SCCAP, to allow for a larger fenced-in staff parking lot. Most recently, HEM was able to help support program operations for two of SCCAP's low-income programs whose regular budgets had been cut. These contributions from our profits have allowed HEM to meet our mission by supporting the work of our nonprofit. The future looks very bright for HEM; however, we are still in the development stage. One day, we will be a stand-alone company with a full-time staff. When that day comes — and until it comes — we will continue to make profits that will come back to our nonprofit organization, to further our fight against poverty. Ken J. Robinette is CEO of South Central Community Action Partnership, based in Twin Falls, Idaho. Discuss this article in the Social Media and Energy Efficiency and Weatherization groups on Home Energy Pros! How Do Utilities Define Cost, and How Does That Affect Your Business?